You see it often on business investment shows like Shark Tank, “Do you have a patent on your product?” To properly value the company, the investors need to know whether or not the company has any patents. The answer to the question is typically “Yes,” “No,” or “We have a patent pending” and the discussion ends there. But does a “Yes” tell you everything you need to know? Are all patents created equal? Unfortunately they are not. Not by a long shot. If you had one hundred patent lawyers each draft a patent on your invention it is very unlikely that any two of those patents would be the same. They would all be different, some better, some worse, each having a different scope of protection and enforcability based on the language each patent lawyer decided to use. Most people tend to think of a patent as a form a lawyer simply fills out and files with the Patent Office. In actuality, patent drafting is a mixture of art and science designed to explain how the invention works and define the metes and bounds of the protection afforded by your patent. So what makes a patent “good” or “bad”? A good patent is a patent that is: 1) defensible; and 2) broad in scope. Conversely, a bad patent is a patent that is: 1) indefensible; and/or 2) narrow in scope. What makes a patent defensible? A defensible patent is a patent that is valid. Validity relates to whether there is something intrinsically wrong with the patent that makes it unenforceable against an accused infringer, regardless of whether the patent otherwise covers what the accused infringer is doing. A patent can be invalidated on many grounds. Some of the most popular ways that accused infringers invalidate patents is to show that there are items in the public domain (typically referred to as “prior art”) that the Patent Office did not have an opportunity to consider when granting the patent. 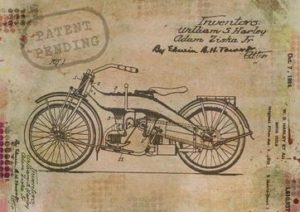 The Patent Office may not have considered the prior art in question because no one was aware of the prior art at the time. Alternatively, the Patent Office may not have considered the prior art in question because the inventor or the inventor’s patent lawyer withheld the prior art from the Patent Office. This is an important distinction. If no one was aware of the prior art at the time, the court presiding over the patent infringement lawsuit can consider whether the patent should have been granted over the newly discovered prior art and: 1) leave the patent as it is; 2) invalidate the patent; or 3) eliminate some of the broader coverage of the patent, thereby leaving a valid, albeit narrower, patent. However, if the inventor or the inventor’s patent lawyer withheld some prior art from the Patent Office, the court may invalidate the patent, as a result of the fraud committed on the Patent Office. In this case, the court can invalidate the patent even if everyone agrees the Patent Office would have granted the patent even if it had been aware of the hidden prior art. Once you determine whether a patent is valid and defensible, the question becomes how broad is the patent. Everything else being equal, a broad patent is better than a narrow patent. Both a broad patent and narrow patent would stop an infringer from selling an exact knock-off of the invention. But with a narrow patent, a potential infringer may only have to change or eliminate one minor part of the invention to avoid infringement. A broad patent, however, carves out a much larger scope of alternatives that a potential competitor must avoid to avoid infringing the patent. To avoid infringement, the potential competitor has to eliminate several critical elements of the invention to avoid infringement, making the resulting non-infringing product more expensive, less efficient, heavier, more durable, harder to maintain, and/or generally less desirable. The broader the scope of the patent, the less desirable it is for a potential competitor to make a competing product. Keeping competitors out of the market increases the price the inventor can charge for the invention covered by the patent. It may be extremely difficult for a lay person, a business owner, or even a regular lawyer to determine whether a patent is broad or narrow. A skilled patent lawyer,however, can often quickly review a patent and determine flaws that make the patent narrower than it should be and therefore susceptible to a competitor legally “designing around” the patent. So why not make all patents broad? Therein lies the rub. The scope of a patent is determined by one or more “claims” of the patent. A patent claim is a one sentence description of the invention. This sentence can be short or several pages long and typically includes a list of essential elements of the invention. Inventors are often eager to include every feature of the invention in the claim. However, by including everything and the kitchen sink in the claim, that makes the claim narrower, rather than broader. To avoid infringing the patent, a competitor need only eliminate one element from the claim. If a patent claim covered a chair, defined as a seat, some legs, a back, arms, a rocker, and a footrest, you would only have eliminate the footrest to avoid infringement. If a patent claim has 25 elements, your competitive product that includes 24 of those 25 elements does not infringe that claim as long as you do not include that 25th element. And you can pick whichever element you want to eliminate. Therefore a good, broad patent claim includes a short list of only those elements absolutely necessary for the invention to function. So why not just draft a very short patent claim? The problem with short patent claims is that they must not be so broad as to cover the prior art. If any prior art would infringe the patent claim, then that patent claim is invalid. The perfect patent claim therefore strikes that difficult balance between being as broad as possible without covering anything in the prior art. Drafting a broad defensible patent claim can take even a seasoned patent lawyer eight hours or more. That is eight hours to draft a single sentence. Drafting a good patent claim is both a science and an art. You want to include the fewest number of elements, but not so few that the claim is invalid for covering the prior art. To strike the perfect balance, you need a skilled patent attorney. While you do not need the most expensive patent lawyer to get you the best patent, choosing the least expensive patent lawyer is a recipe for disaster. Bad patent lawyers can cut costs and speed through the patent approval process by drafting very narrow claims. Narrow claims are much easier to draft and, because narrow claims are less likely to cover the prior art, the Patent Office grants narrow claims much more quickly. Unfortunately, the client often does not realize that their patent is nearly worthless until they try to sue and competitor for selling a similar product and realize the competitor simply “designed around” the patent by eliminating one of the many elements of the narrow patent claim. Your patent will only be as good as the patent lawyer who drafted it. Choosing a good patent lawyer can be difficult. Many of the best patent lawyers spend little or nothing on advertising their services. They instead rely on word-of-mouth and attorney referrals to find high quality clients. Finding a good patent lawyer takes more than a simple Google search. Ask around about the patent lawyer’s reputation. 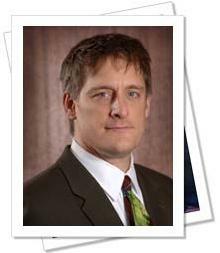 Ask other attorneys and inventors who have worked with the patent lawyer in the past. Finding a good patent lawyer takes a little time, but the dividends will pay off for decades. And the next time you hear someone say they have a patent on something, just remember that all patents are not created equal. If the patent was drafted by a bad patent lawyer, it may not be worth the paper it is printed on.